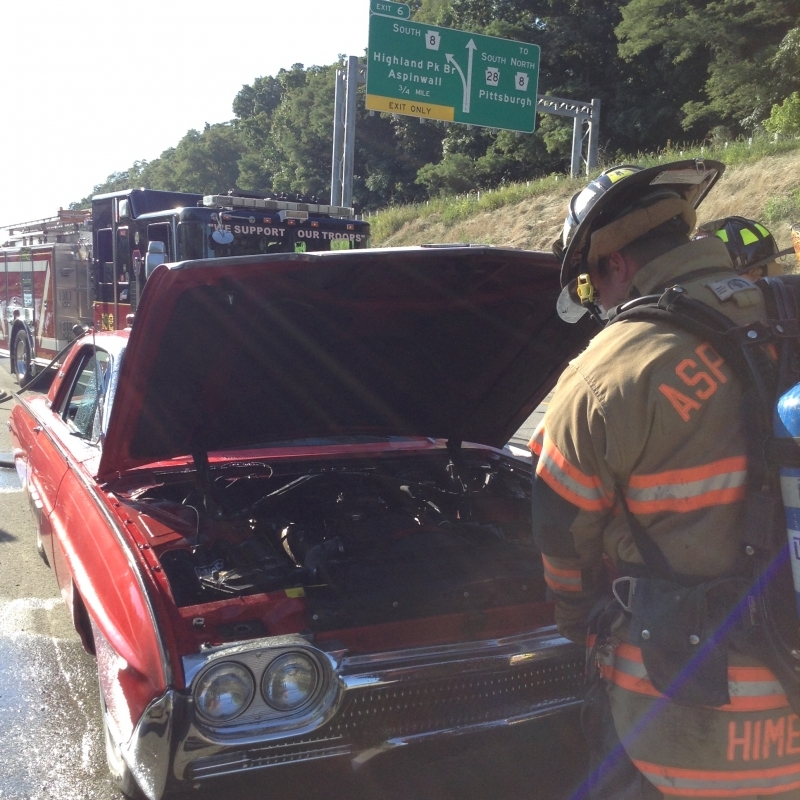 At 17:25 Hours, Allegheny County Communications dispatched Aspinwall (Sta 102) and Blawnox (Sta 111) for a reported vehicle fire on PA Route 28, North, prior to Exit 8 (Fox Chapel). 102 Chief responded to the scene and reported a single vehicle, was on fire, however the fire was partially extinguished by a passer by with an ABC Extinguisher. 102 Engine arrived on scene, attempted to further extinguish the fire with a water can, however the heat was still very high when checked with the Thermal Imaging Camera (TIC), so a 1 1/2" line was pulled and charged and used to further cool down the vehicle engine. Fire was listed under control at 17:31. 102 Rescue arrived on scene and began to set up traffic control measures. 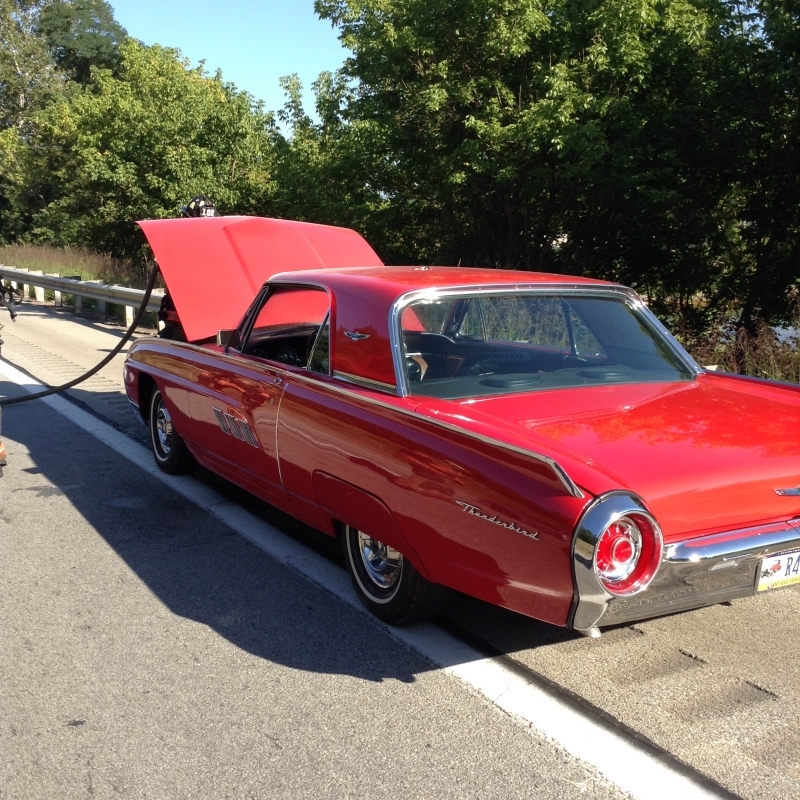 Pennsylvania State Police (PSP) arrived on scene and called for a tow. Once the vehicle was on the hook, 102 units cleared the scene at 18:18.